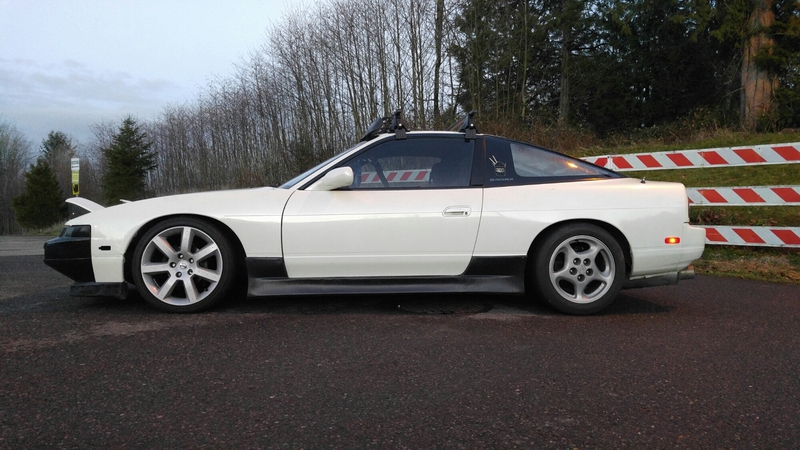 I wanted to write a quick blog about a steering angle kit that I’ve been rocking on my 1993 Nissan 240sx since 2014, there’s a handful of s-chassis guys in the Northwest that have this kit. 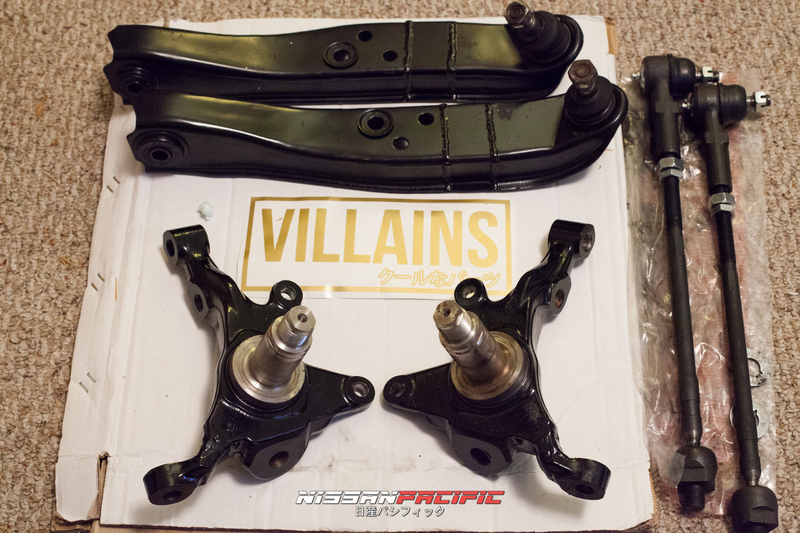 The Villains Drift Angel Kit! 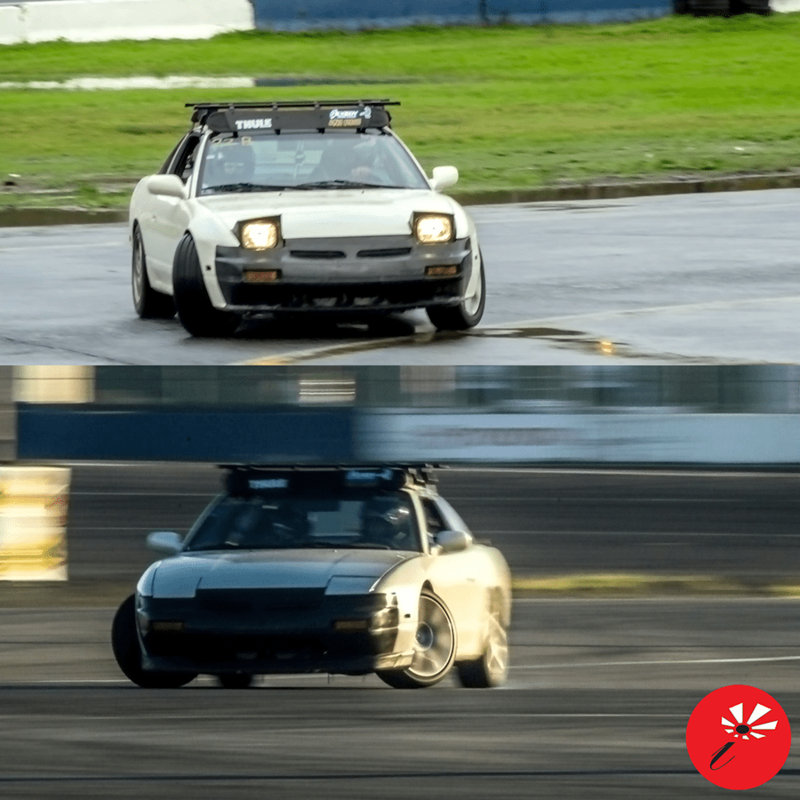 I met Nate Shewchuk through mutual friends at an Evergreen Drift events, and since I had a few bills in my pocket I figured I’d throw cash his way. At the time there were a few other local guys offering the same deal for an angle kit but Nate’s turn around time was incredibly fast. Since he wasn’t super swamped on orderes, I next day delivered my LCA and knuckles to him. If you’re serious about buying this kit, please tell Nate that Eddi sent you! 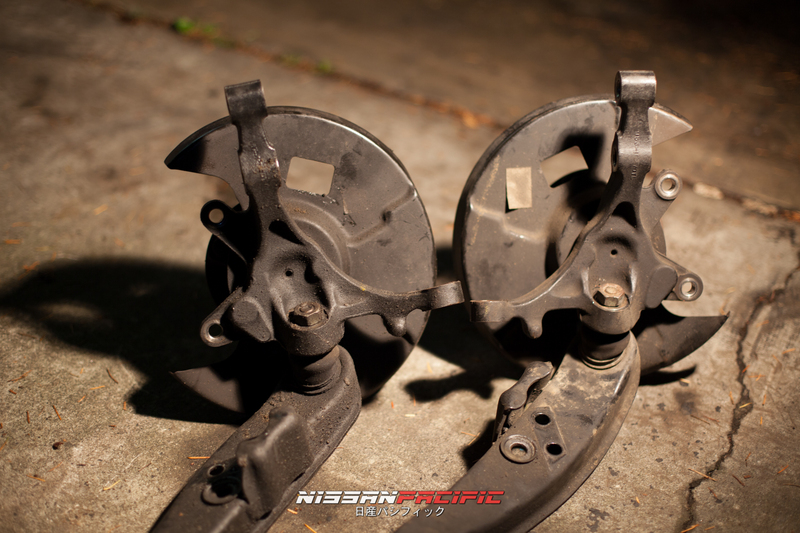 Below is a comparison of the OEM steering angle and after with the Villains Steering Angle Kit. Steering is a lot quicker and responsive, doing the 3/8ths bank in 3rd gear feels like I am able to carry more speed while standing on the throttle, transitioning in the power alley feels more aggressive because I can use more throttle during the flick to jump forward during the transition. I can tell my old Tein coilovers need to be replaced. My first event with these, I was struggling with an OEM S14 seat, I immediately bought a used Sparco off a buddy for the next event. Steering angle and a good bucket seat make all the difference! I have had these knuckles and LCA’s for a year and a few months now, I can say they are fine for daily driving and track use. Since my LCA’s are extended, for street use I am only running -3 degrees of camber in the front to minimize inside tire wear. My Cusco top hats are maxed out for adjustability, but -3 is fine for street. 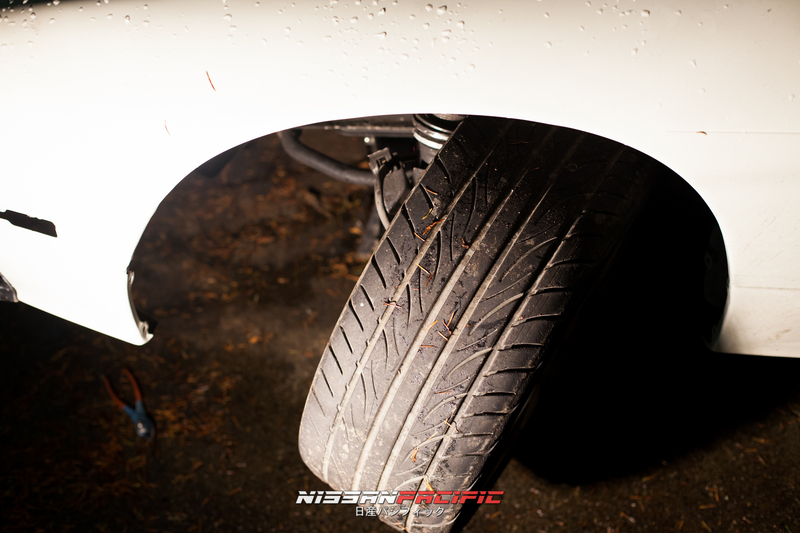 Below you will see examples of before and after including powder coating and Maxima inner/outer tie rods.